Are you a landowner that allows hunting on your property? 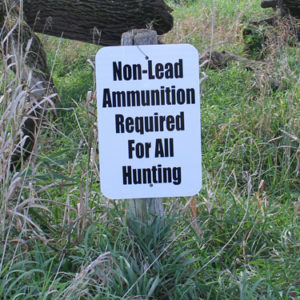 You can require that anyone hunting on your property use only non-toxic ammunition. Check this sign out! SOAR had this sign made at our local print shop, Options Ink in Carroll, IA. Email Marsha at Options Ink for details! You could do the same for any fishing on your property – non-toxic tackle!